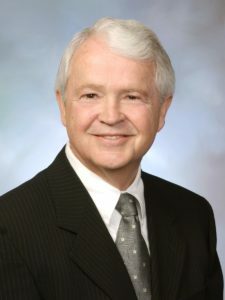 Dr. John F. Kamp is Washington Counsel for the Coalition for Healthcare Communication, a drug marketing group with offices in New York City and Washington, DC. Kamp was Executive Director of the Coalition for 16 years and part time counsel at the law firm of Wiley Rein for 18 years. His professional experience includes 10 years with the Washington office of the American Association of Advertising Agencies and nearly a decade in public policy positions at the Federal Communications Commission. Before moving to Washington, Dr. Kamp taught journalism at the University of Iowa and at Tulsa University. Kamp is well-known as an advocate for First Amendment rights of individuals and corporations, as well as for his understanding of communication and drug issues, especially at the FDA. Kamp is a frequent speaker at industry meetings on ethical, legal, and political issues surrounding drug marketing, and is recognized as an authority on these issues by the print and broadcast press. He serves on the editorial boards of the Rx Compliance Report, Medical Marketing and Media, and the FDA Advertising and Promotion Manual. Dr. Kamp is co-author (with Wayne Pines) of 3 books on compliance with FDA policy published by FDA News, including DTC Advertising and Promotion: The Changing Environment, published in January 2006. Dr. Kamp earned his bachelor’s degree at the University of Notre Dame, his doctorate from the University of Iowa and his juris doctorate at the University of Tulsa.